Portable, industrial heater options and accessories from Jetheat can improve the performance of your flameless heater; boost productivity; provide more flexibility; and assist with project management. The JetHeat engineers have developed accessories based upon real world experience where our industrial heaters were being used for everything from temporary warehouse heating, in petrochemical refining, and in ground thawing applications under often brutal conditions. Combining state-of-the-art technology with American Made quality, the Portable, Industrial Heater Options and Accessories from Jet Heat provide a quick ROI. Call us today, toll free, at 1-877-JetHeat or fill out our contact form to learn more. 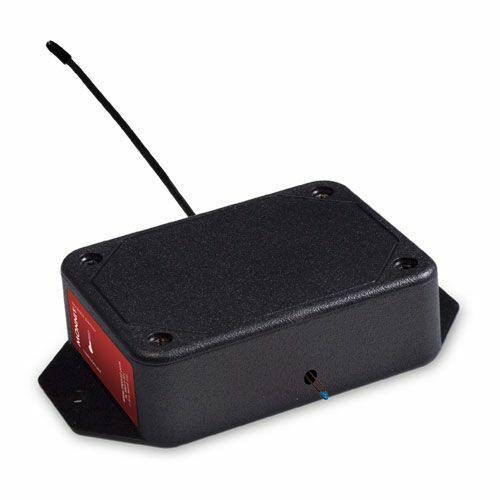 JetHeat has developed a heated space temperature monitoring system for customers requiring temperature feedback control. The system can monitor and record up to 50 radio frequency sensors and auto adjust the heater settings or shutdown the heater based on the temperature limit levels pre-set by the customer. 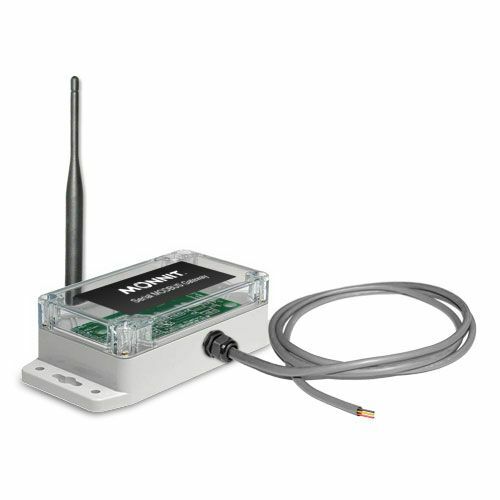 In addition to temperature, the system can integrate carbon monoxide, water and humidity sensors. 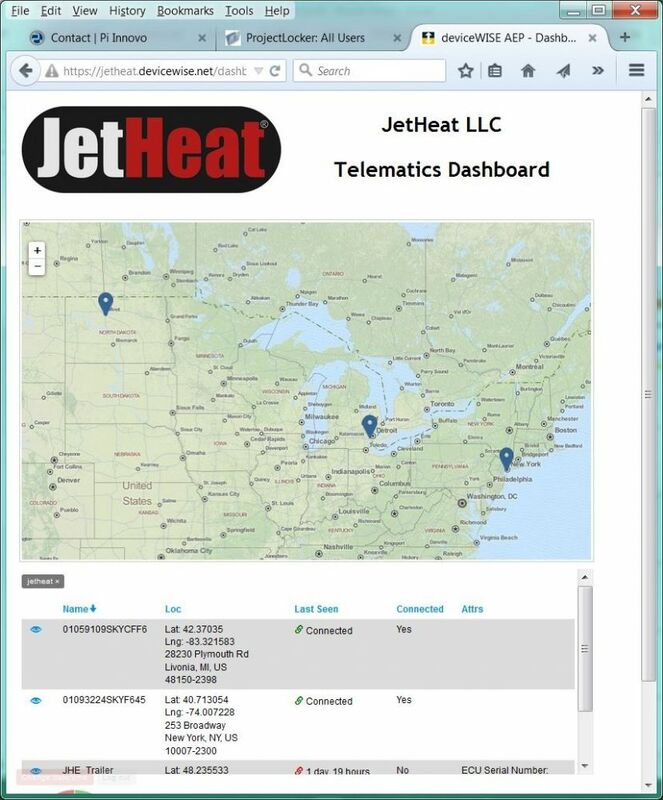 JetHeat has developed a Telematics solution that integrates seamlessly with our GT1400 heater system. 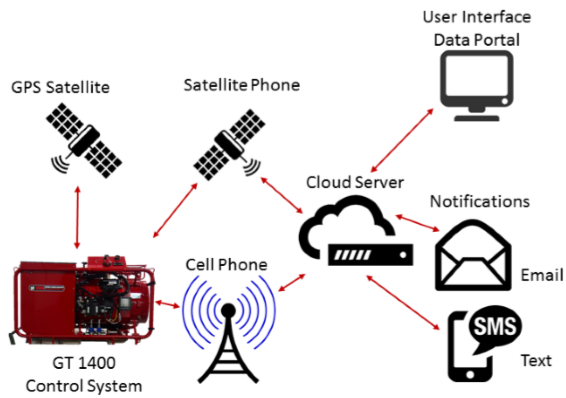 We offer a fully integrated system including the hardware, the cellular / satellite service, the backend data servers and the user interface websites. The system is connected to our heater through our integrated diagnostic connector and once connected, it will automatically integrate into our end to end offering. 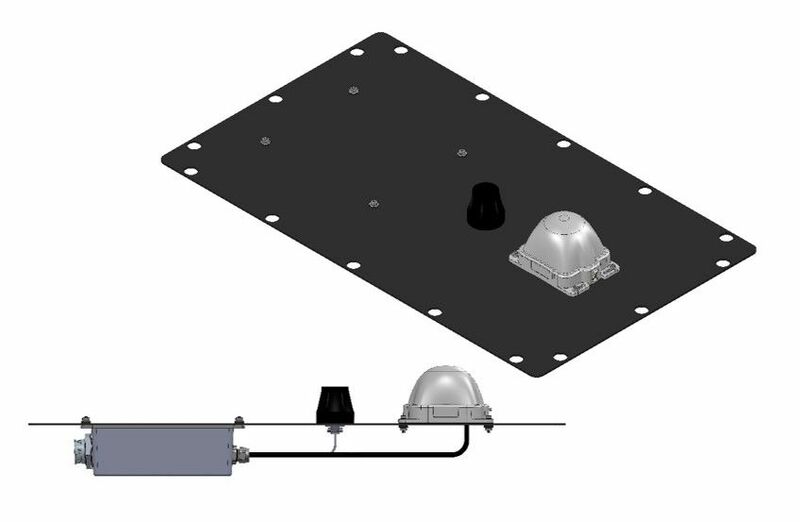 The system hardware includes an integrated cellular & satellite terminal, a satellite antenna, a cellular antenna and a harness to connect to the heater. To activate the system, the user simply connects the harness to the diagnostic connector on the heater. The backend will automatically recognize the new connection and take care of all of the handshaking. The terminal uses smart switching to automatically switch to cellular mode whenever available. 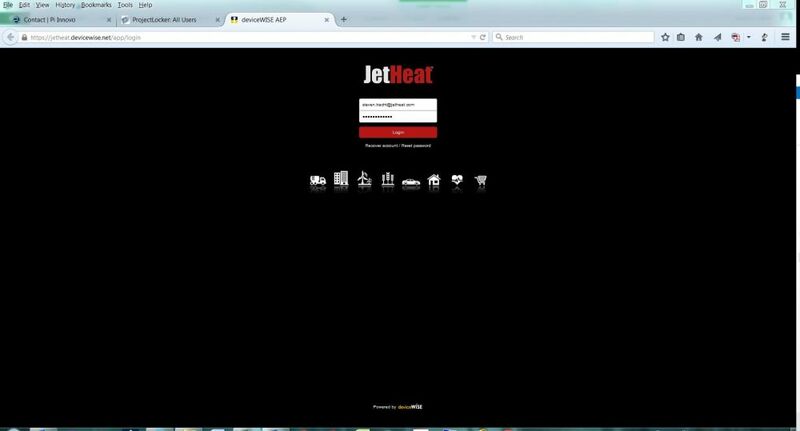 To access heater data, the user logs into the JetHeat Telematics portal, which can be configured specifically for each individual customer. The first page available is the fleet page, which provides the mapped location of the heaters in the fleet as well as a list of all available heaters. Clicking on a heater via the map or the list directs the user to a dashboard for that heater. JetHeat Telematics monitors critical system parameters such as location, engine speed, engine temperature and fault status. 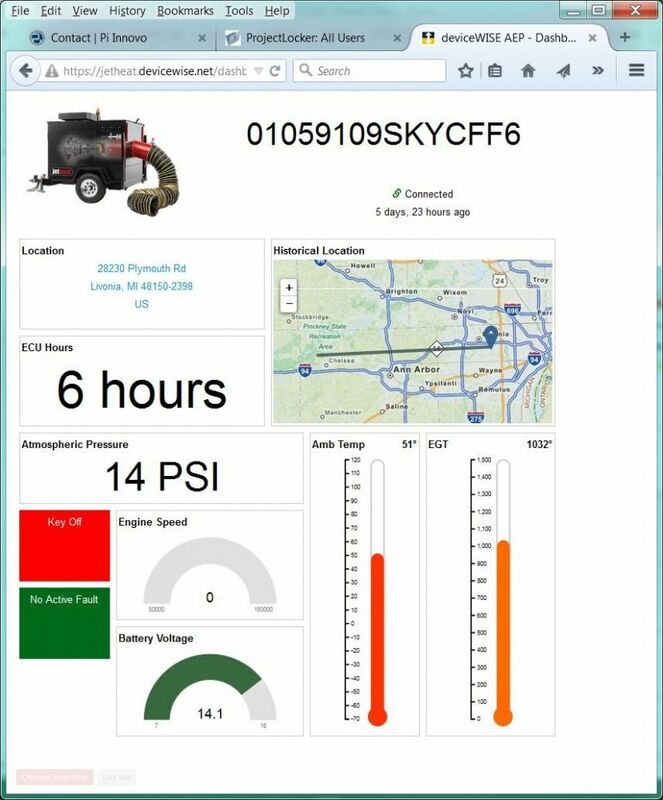 The system can be programmed to alert the user or fleet operations of operating conditions such as startup, shutdown or active faults. The alerts can be sent via text, email or both.